Because of our Faith in God, we are strong in the face of weakness. We are brave in the face of fear. We persist in the face of failure. We stand again no matter how many times we fall. 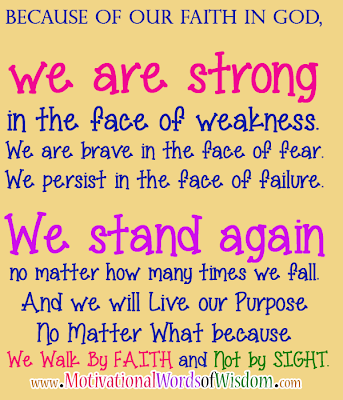 And we will Live our Purpose No Matter What because We Walk By FAITH and Not by SIGHT.